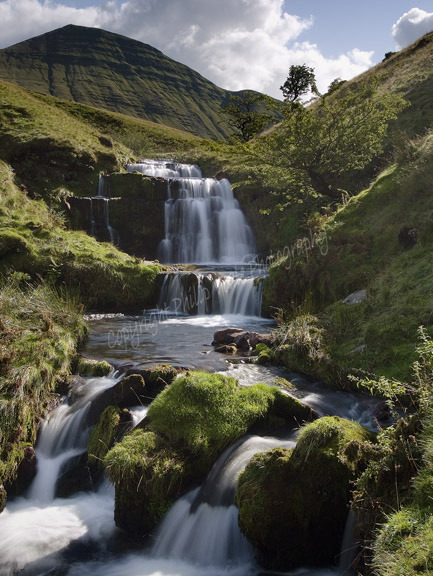 Philip Veale Photography: Waterfalls and Cribyn in late summer. The Brecon Beacons. Waterfalls and Cribyn in late summer. The Brecon Beacons. September and the cool water of the Nant Sere flows down from Cribyn in the Brecon Beacons.